Today, there are a multitude of communication devices and channels available to exchange messages. However, each of these devices and channels has different capabilities. Additionally, the location of a user is often unknown. Current systems that decide where to send a message in a heterogeneous communication environment are complicated to customize and inefficient. The Active Messenger improves this situation. 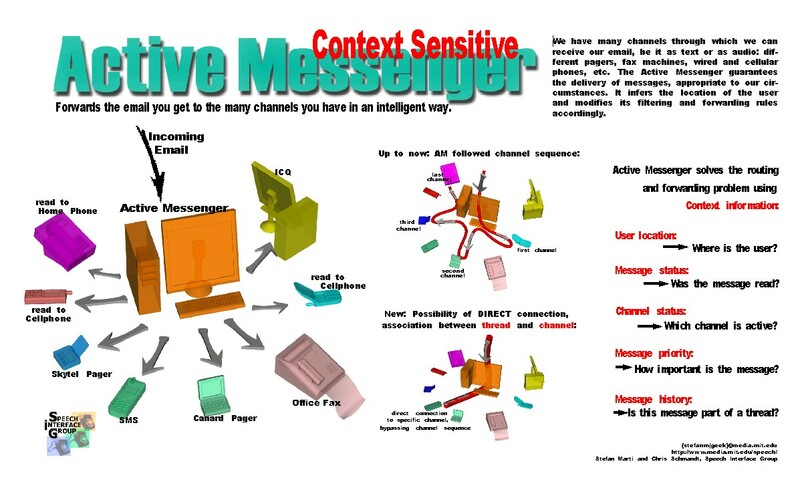 The Active Messenger is an agent that is capable of taking several steps over time to guarantee the delivery of a message, trying multiple channels and awaiting possible user reactions. It infers the location of the user by looking at her communication history and communication behavior. If a message arrives in the user's inbox, the Active Messenger decides if it is important by looking at user-specified rules, as well as correlating it with recent messages, the user's calendar, and her address book. Depending on the importance of the message and the inferred location of the user, the Active Messenger decides where to send the message, possibly to several devices in turn, monitoring the reactions of the user and the success of the delivery. For example, if a reply comes back shortly after a message is sent to a two-way capable device, the Active Messenger assumes that the user has read the message. If the primary communication device used provides no back-channel information, the Active Messenger infers whether the message has been read by monitoring other channels shortly thereafter. Depending on the status of the sender defined by the user, the Active Messenger may also give feedback to the sender about the user's location and communication behavior. Active Messenger is very easily configurable. Back to the Speech Interface Group homepage. Send me some comments! 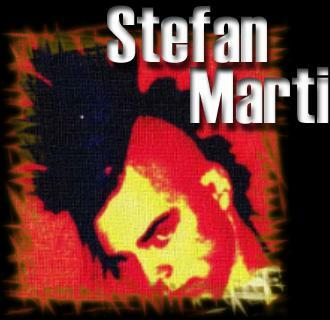 Last updated June 22, 2001.